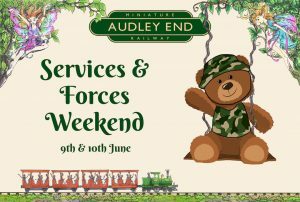 It’s all change at Audley End Miniature Railway with a new initiative to say thank you to all those who work in the forces, services, teaching or the NHS. 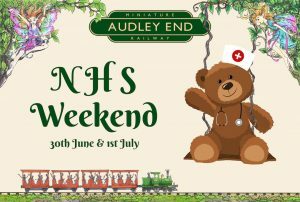 “2017 was our most successful year and we welcomed more guests than ever before” Said Amanda Murray of Audley End Miniature Railway. “When my father opened the Miniature Railway to the public back in 1964 he loved the idea that people would come in and share his passion for the trains and enjoy the 1.5 mile ride around the beautiful Capability Brown designed gardens. He was in the Army himself and saw active service in Malaya. He used to tell me stories about his time during the war and how he always felt that anyone who served their country, should be recognised for their service. The attraction is very different to those early days when the whole focus was on the trains as we’ve since invested in the play area and a Magical Fairy and Elf Walk that the kids absolutely love. 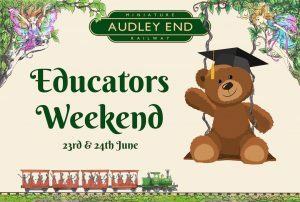 Bob Ottaway, Audley End Miniature Railway General Manager explains how the programme works. We’re offering a 25% discount for the whole family (maximum of 6 people, additional guests will pay full price) who come together as long as one of them can show the relevant ID to show they work in one of the services above. Even with a big or small family, the discount still applies.